Whether you’re upgrading your home to sell or for your own enjoyment, home renovations can help improve the value of your home. With a well-planned renovation project, you can expect to recoup about 75 cents of every dollar you spend on the upgrade. Not sure which renovation will give you the most bang for your buck? Here are a few of the best home improvement projects along with interior shades to increase your home’s value. A modern, updated kitchen is at the top of almost every home buyer’s wish list. Even a small investment in this room can have a tremendous impact on your home’s value. A fresh coat of paint, new countertops, new appliances, and new flooring can breathe new life into this space. Stainless steel appliances and quartz countertops are currently the most sought after features. These updates can increase your home’s selling price anywhere from 3 to 7 percent. When you want to update your window treatments, interior shades are a great upgrade that can easily become a selling point for your home. Interior window shades filter the sun’s light to reduce glare and improve comfort. Because they control the amount of sunlight coming in, they can improve your home’s energy efficiency, saving money on your home’s heating and air conditioning costs. Interior shades are available in many colors and textures to suit the windows in any room of your house. Buyers are willing to pay more for homes that look “put together” with great features like retractable window shades. Painting a room is a relatively simple and cheap update, but fail to do it and your home’s value will take a significant hit. 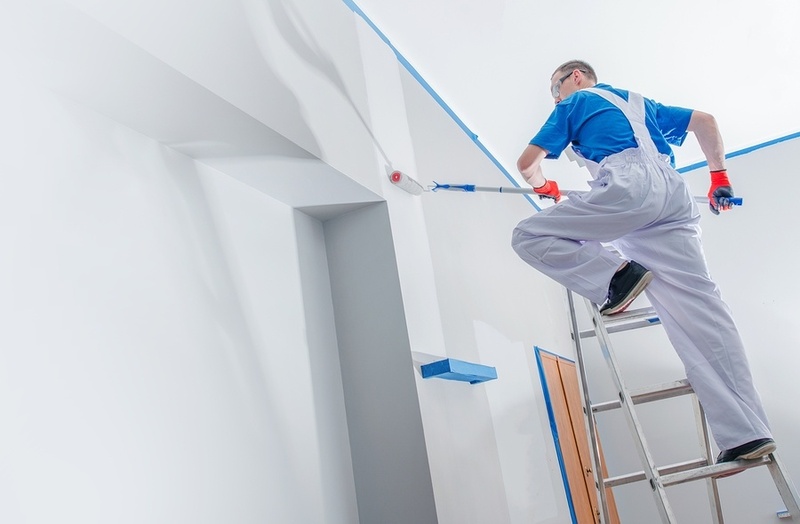 Even painting only high-traffic areas, like the hallways, living room, and bathrooms can make a big difference. Of course if you are painting for your own enjoyment, you can choose any color your heart desires. But if you’re painting your home with the intention of selling, neutral colors are always the best choice. Buyers prefer a “blank canvas” where they can picture their own style and decorations residing. A bright or bold color choice may turn them off from your house altogether, when all they really dislike is the paint color. Technology changes at such a rapid pace. What’s “in” today is outdated tomorrow. Adding new high tech features to your home is not a great way to add any enduring amount to your home’s value. But a few small technological improvements can be a smart idea. One of the most popular upgrades right now is a wireless thermostat. You’ll enjoy the ease of being able to adjust the temperature directly from your smart phone. These thermostats study your heating and cooling preferences to keep your home comfortable effortlessly while also providing energy savings. Thinking about making interior shades your next home renovation project? Contact Polar Shades at 702-260-6110 to set up your free in-home consultation today.